La Ferronière, on the heights of Bouillon in the Belgian Ardennes (a good hour from Lux). 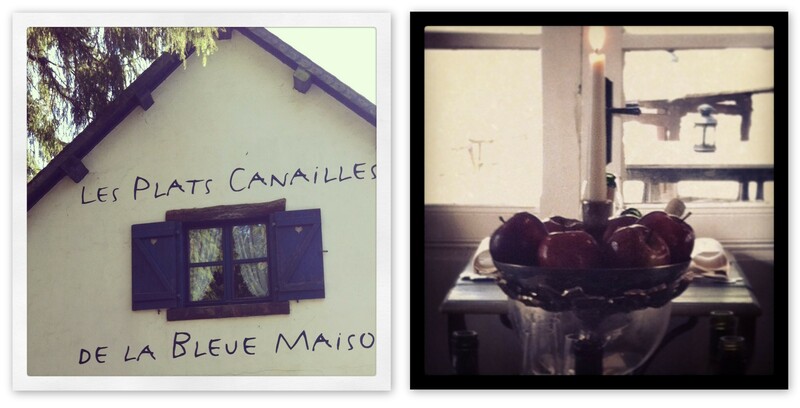 Tiny, cute hotel with a gourmet restaurant combining cosy and château. The smell of woodfire in winter, the adorable garden in the summer, and the always welcoming hosts add to the feelgood-factor. Ideal for Sunday lunch, plan on taking your time. Afterwards, you could of course go down into town and get some chocolate or laze down the river in a paddle boat. Les Plats Canailles de la Bleue Maison, in Habay-la-Neuve. CLEW is slightly afraid of spoiling the surprise by saying too much…so let’s just say it’s Hansel and Gretel without the witch lurking in the forest or under the old stone bridge, and the Snow White apples in bowls and on barrels look perfectly safe. By the fireplace in the winter, in the enchanted garden in the summer. And only 30-40 minutes away from Luxembourg City. Liégeois, in Messancy. Yes, there actually is a feelgood place in the middle of Mess(anc)y’s retail-roundabout maze, and it’s got what you need to create a warm and welcoming home. Just look for a grey house in the middle of one of the roundabouts.